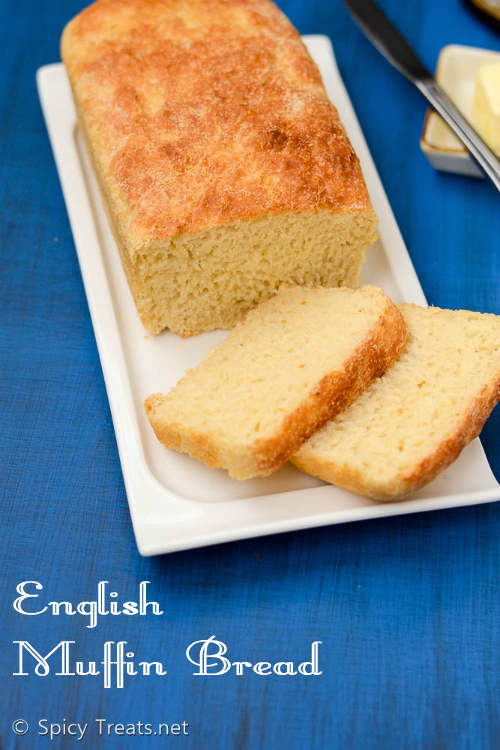 So what are you waiting for, just put the ingredients together, turn on your oven and enjoy this delicious bread with your favorite spread. I made french toast for my kids and with the left over bread slices made bread pakora and enjoyed with Ginger Cardamom Tea. 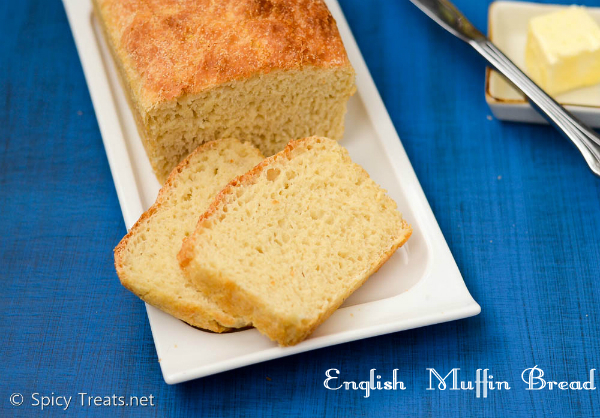 This English Muffin Bread was in my to do list for long time and recently saw this recipe video from Tip Hero Facebook Page and immediately tried it. In a mixing bowl add flour, yeast, salt, sugar and mix well. Now make a dent in the center and pour milk and water, mix everything together. 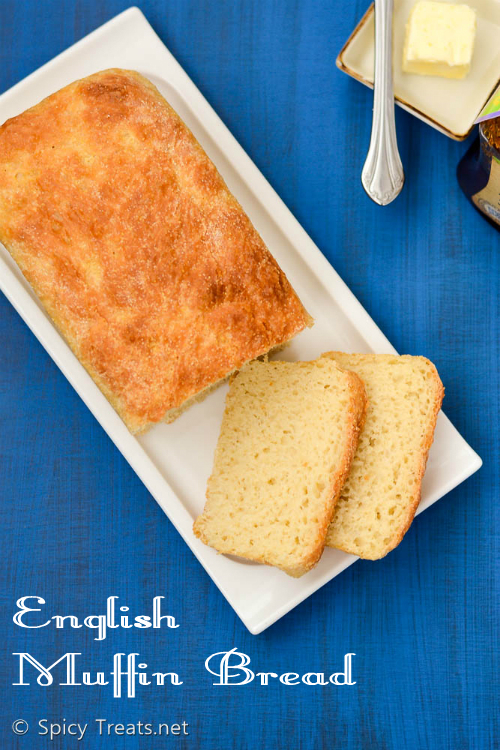 No need to knead the dough, just mix and cover the bowl with plastic wrap or kitchen towel. Keep it in a warm place until it double in volume. After that, divide the dough into 2 equal portion and on a prepared loaf pan spread the dough. Sprinkle some more corn meal on top and allow to rise in warm place again, until doubled in size. Once done, on a 375 F preheated oven, bake for 35-40 minutes. 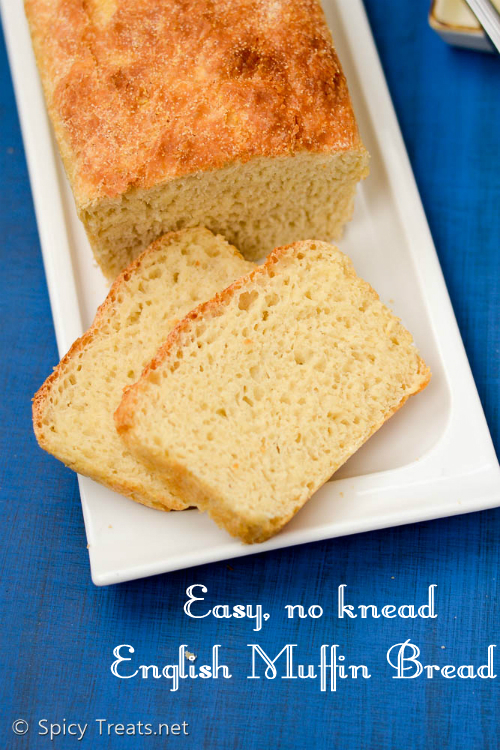 You can also use Bread Flour instead of All Purpose Flour. *I used Unbleached All Purpose Flour and for the dough, it required more than 1/2 cup water(added around 1 cup) so adjust accordingly. The dough should be very sticky and soft, don't knead the dough. Bread stayed fresh for 2 days in room temperature. 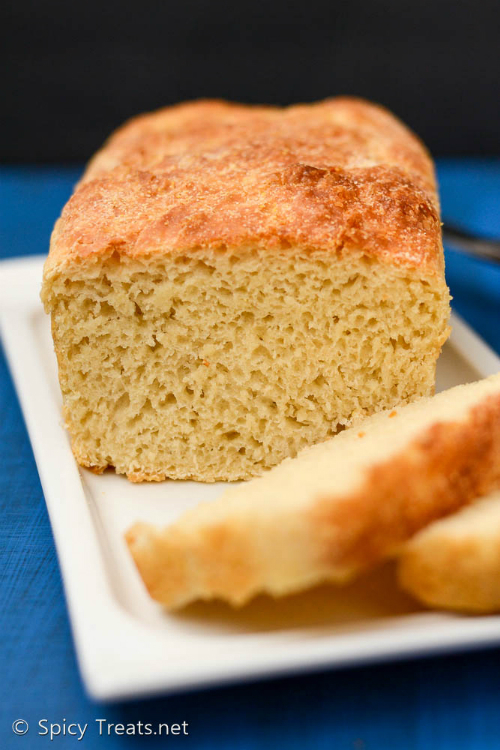 If using Active Dry Yeast(4.5 tsp), add sugar, milk and water to a bowl add yeast stir well and set to proof for 5-10 minutes and add it to the flour and proceed.